Wairoa geyser is surrounded by sinter, formed by deposits of silica as the geyser erupted over hundreds of years. 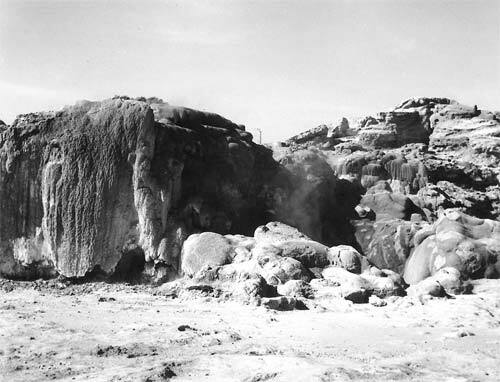 It has not erupted since the early 1960s (when this photograph was taken), and is a casualty of falling water levels in the Rotorua area. If the geyser does not come back to life, the sinter mound will gradually deteriorate.